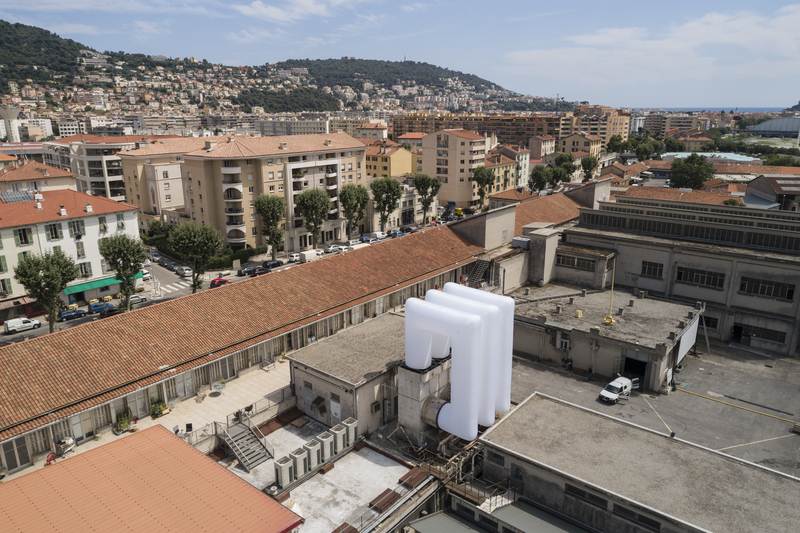 Three rectangular frames sewn from tubes of white textile were mounted on the roof of the former slaughterhouse and current cultural center in Nice. 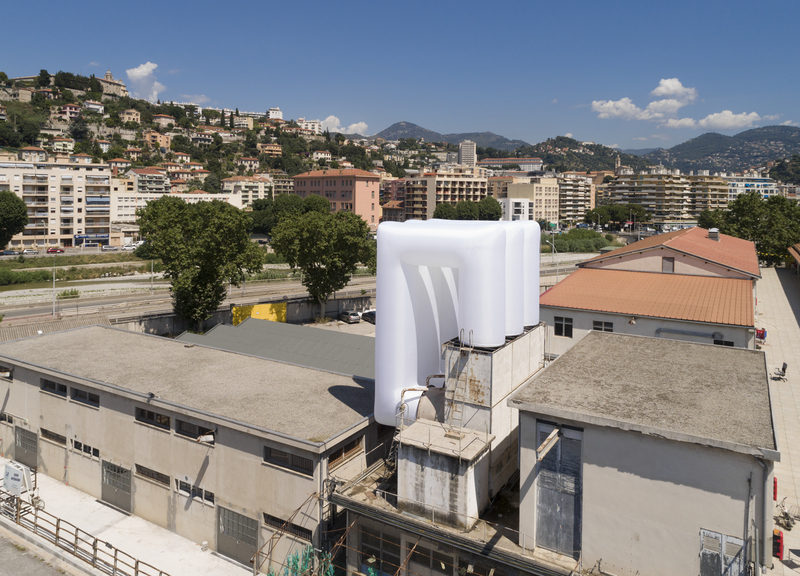 The inflatable tubes protruded vertically from the industrial ruins and docked on to it again at the other end, as though they would generate a bypass. The huge frames, placed tightly together, parallel, one behind the other, were visible from afar.